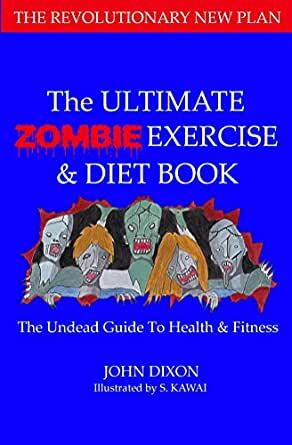 The Ultimate Zombie Exercise & Diet Book offers a unique new perspective to health and fitness. The zombie is a shambling, decaying mass of putrid flesh with limited brain function, yet they have the power to break through boarded up windows, break down doors and rip the flesh from humans. What is the source of the zombie’s strength and power? This book has the answer. 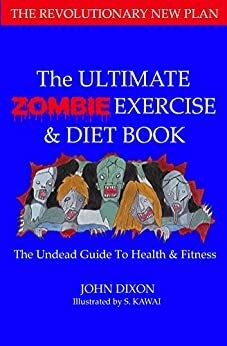 The Ultimate Zombie Exercise & Diet Plan will talk about the zombie pandemic and provide a scientific understanding about the zombie virus and its effects on the body. There will also be an insightful look at how humans are making themselves weaker and sicker with their daily lifestyle practices. The benefits of the zombie lifestyle over the human lifestyle will be laid out in a simple to follow step-by-step guide. With reference to the zombie diet, this book will provide you with useful nutritional information – the importance of protein, fats, vitamins and minerals and their effects on your health. You will also be given a simple ‘back to basics’ training routine which will transform your physique and increase your stamina levels. There are no expensive gym fees, nutritional supplements or exercise equipment you need to buy. This plan has practical application to improve your fitness and educate you on nutrition and health according to the principles of the zombie fitness plan. This book also introduces the illustrations of S. Kawai.